“I do not have anything to wear” - this is what I say (and I am quite sure all of you girls do too) every morning while getting ready for office. But actually my wardrobe is overflowing with clothes (Literally!). Whenever I open my wardrobe something or the other will fall out for sure. I can already hear you saying that it's the same with you! What if I tell you that you can make space for new clothes (until you get bored of those too, that is) by selling your old ones? I would be interested if someone told me this! So that is why I without a second thought I downloaded the app which lets me do that. Elanic! 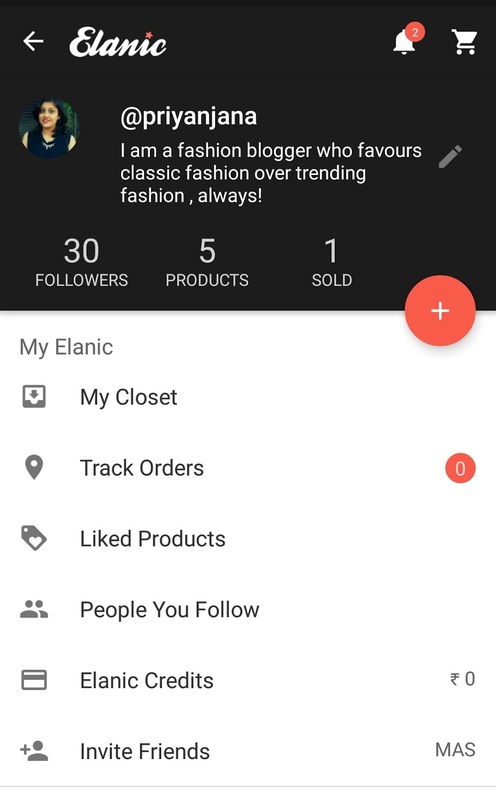 Elanic is an app where you can sell your old/ fairly new clothes, accessories, makeup , etc without any sort of hassle! 2. Add products to your closet by clicking pictures. 3. 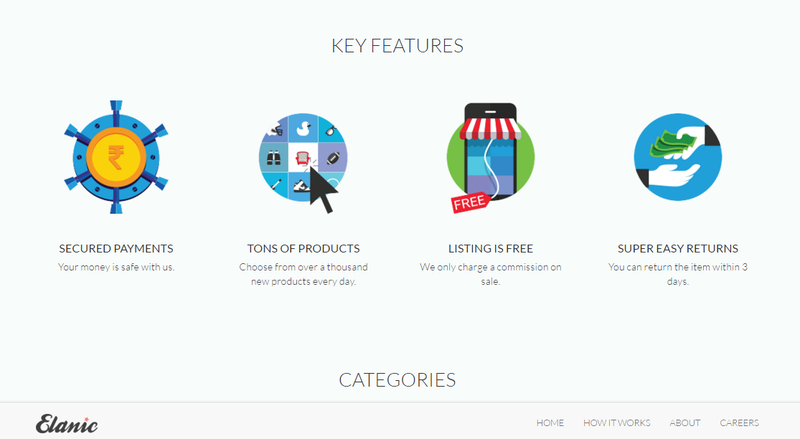 Quote a price, give full description of what you are selling. 4. The listing will be approved in sometime. 7. Delivered to the person who bought it! At their doorstep! 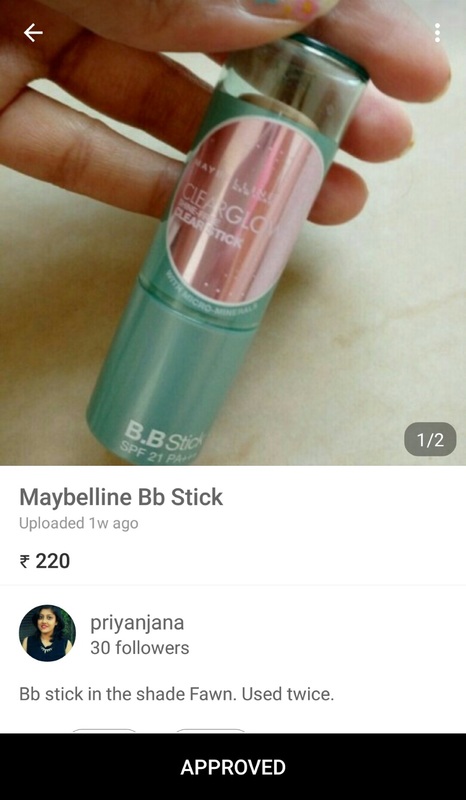 My username is "priyanjana" and you can check out my closet as well! I have listed a few makeup products that I have hardly used and will be listing some clothes in a few days. There are a lot of other fashion bloggers on Elanic and you can check out their collection as well. I made a sale on the first of listing my products and was so happy to receive a mail from Elanic saying "You have made a sale!". The products were collected on a time I had set for pickup from my doorsteps and now it has cleared inspection and is on the way to the buyer. Elanic keeps you properly updated about each step and that is something I genuinely like! There are hundreds of products listed on Elanic, both new and old. For a lot of categories other than clothes, like for kids clothing, toys, books etc. I would say that this is a perfect place to sell all those "I wore this once" or "I don't like it anymore" or "I wish I could fit in these now" or "what do I do with this now" sort of clothes and when you sell these , you will have the space and money both to revamp your closet! And for all you lovely readers of Moonshine and Sunlight, I have a special code - "MAS" . Use this to get 200 Elanic credits in your Elanic account and use it to shop!! <3 u!! I downloaded Elanic sometime back. Haven't purchased anything from them yet, but you do get a nice mix brands and the rates are amazing. Yes , exactly and that is why I like it ! I think Elanic should start the tailoring service as well, I hope it will decrease your unsatisfied customers. I want my money back else I dnt need that dress anymore and dnt need your credits as well. This is the worst app ever I have used. This was something new and I tried. I sold my bridal set5 months back. Worst service ever.. They have not even paid for my product. After repeated calls and complaints they delivered a hadbag set which was wrong product last month.. After repeated complaints again they took back the handbag...but they have not returned my product they have not paid for the product. Worst service cheating service. Please guys dont buy anything. I asked one of my friend even she had same experience. these people cheat. I have ordered two items on 26th Feb and still there is no response from the seller or elanic when i am expected to receive the same. I ordered it for some occasion but thinking of the service of elanic not possible to get the same before the time. Kindly request you to either try to dispatch it soon or initiate the refund. Worst App! Pl don't promote cheaters and fraudsters!!! It's a Scam running out there. Beware!!! Customer service is good for nothing, sending automated messages always. No one ever bothers toto resol your issues. My products are lying in their so called inventory. No body bothers to send them back after repeated requests. They charge you for returning YOUR product back to you!!! 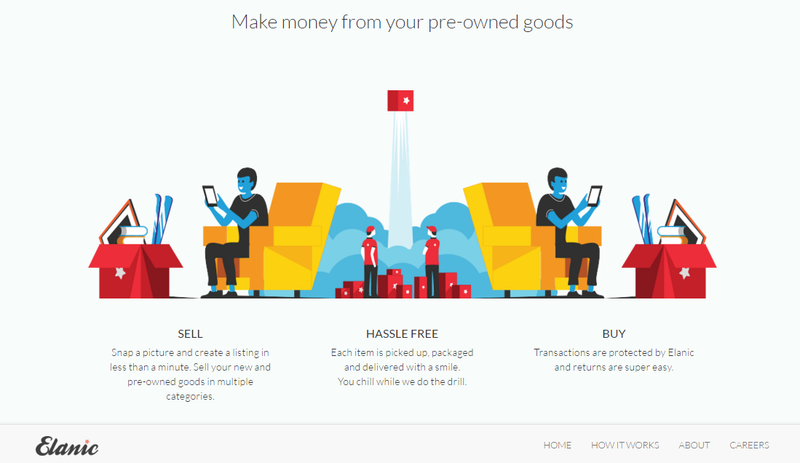 So you finally end up selling your product which never gets back to you or incase it is returned, then you have to PAY to get it back that too damaged. In addition you have to pay for the damage as well!!! It's a big SCAM! BEWARE! SHEER WASTAGE OF YOUR PRECIOUS TIME AND MONEY! Instead you better donate such products to someone needy. Atleast you get some blessings and some peace of mind!